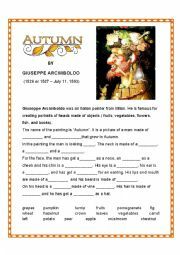 Fill-in reading activity about the painting "Autumn" by Giuseppe Arcimboldo. There´s also a introductory video where all the fruits and vegetables are put together to make the final image. 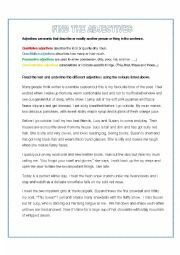 I added also 20 follow-up questions for comprehension or a quiz. 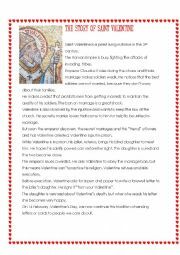 Use video link from: http://www.groundhog.org/ for pre-reading discussion. 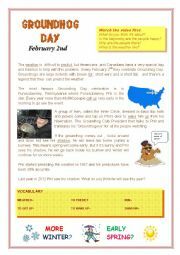 A reading exercise explaining Groundhog Day. 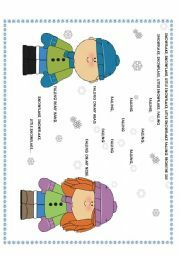 Can be used as a set-up for talking about the weather/seasons, future predictions as well. 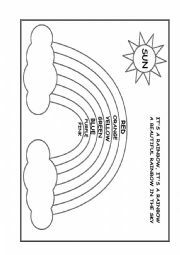 Easy coloring worksheet to compliment "The Rainbow Colors" song found on youtube. 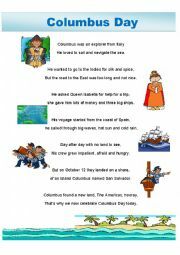 Quick short poem about Columbus Day. 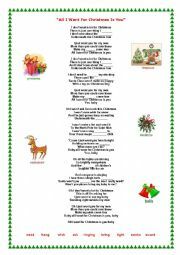 Clipart from Phillip Morris.